The Miami Bi-tch model was featured at the Sagamore hotel in Miami for the Winter Music Conference and was designed for maximum flexibility giving it capability to accommodate almost any set up needed. 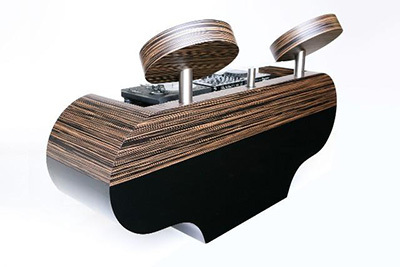 This is one of the most versatile DJ Booths as it has a clear stretch of smooth surface area to work with as you need. Pedestals can be added as can the laptop stand. Please contact us if you’d like to discuss a personalized configuration. 24″ Depth x 92″ Length has a flat space for your own combination of DJ equipment. Let us know if you have something specific in mind though Please contact us if you’d like to discuss a different configuration.